Posted on April 4, 2018 | 2253 views | Topic : News & Articles, Property News. From left to right: Rehda national council member Ir. Ng Lip Khong, Pertubuhan Akitek Malaysia president Ar. Ezumi Harzani, National Housing Department director-general Jayaselan Navaratnam, Rehda Institute & board of trustees chairman Datuk Jeffrey Ng Tiong Lip, Rehda president Datuk Seri FD Iskandar, Rehda national council member Ngian Siew Siong and Rehda Institute trustee Tan Sri Eddy Chen. 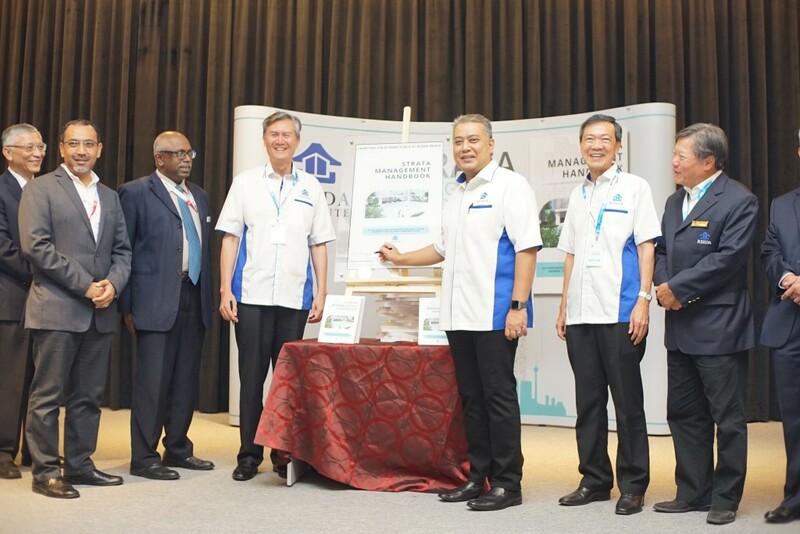 PETALING JAYA: Real Estate and Housing Developers’ Association of Malaysia (Rehda)’s training, research and education arm Rehda Institute launched its inaugural publication, the Strata Management Handbook, at Wisma Rehda in Petaling Jaya yesterday. The handbook was launched in conjunction with a two-day Strata Management conference held at Wisma Rehda from Mar 28 to 29. “Due to land scarcity and higher land costs, strata high rise living is becoming more common in Malaysia. Statistics from the National Property Information Centre (NAPIC) reports that as at end 2017, there are a total of 1.5mil residential strata units”, says Rehda Institute & board of trustees chairman Datuk Jeffrey Ng Tiong Lip. The handbook also contains feedback from Rehda members following the enforcement of the Strata Management Act 2013 (Act 757) on June 1, 2015.